to select any pair from the entire Ochsner herd. Successful flushes to H L1 DOMINO 3053 ET, H WR SUSTAINABLE 5511, NJW 135U 10Y HOMETOWN 27A, NJW 73S Hometown 10Y ET, CL 1 Domino 955W, & CRR 719 Catapult 109 provide reason for excitement in the fall 2018 calf crop. Two of these bulls will be among the best in 6th Annual ProfitaBull & Female Sale. 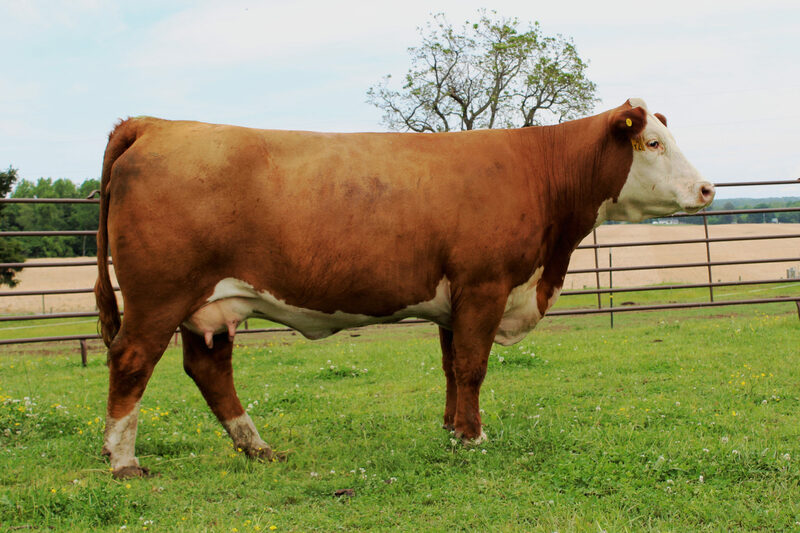 We have high hopes that this cow will provide a path toward an exciting future for WF!